MOSCOW, March 7. /TASS/. 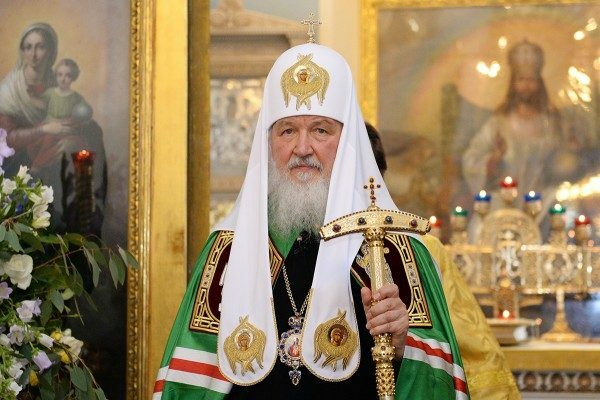 Patriarch Kirill of Moscow and All Russia has expressed the hope that opportunities to end the Syrian conflict are opening up. He said as much at a meeting with Syrian Minister of Awqaf, Mohammad Abdul-Sattar al-Sayyed, on Tuesday. “It is clear that international terrorism is suffering tremendous losses, and opportunities for the peace process that will lead to a lasting and just peace in your country are opening up. We do hope that the negotiations held in Astana and Geneva will eventually lead to the restoration of peace and justice,” the patriarch said. He also thanked the minister for his stance on Syria’s Christian minority. “We know that you personally express solidarity showing compassion for the Christian minorities and pay considerable attention to that part of the Syrian population,” the primate of the Russian Orthodox Church said. “We are glad that interfaith peace is preserved in the areas controlled by the Syrian government,” he added. On Monday, Kazakhstan’s Foreign Minister, Kairat Abdrakhmanov, said that the new meeting in Astana on the settlement in Syria will be held on March 14-15. Its format and level are discussed by the countries acting as the guarantors of the ceasefire. On February 6, Astana hosted the first meeting of the joint group monitoring the ceasefire in Syria that involved experts from Russia, Turkey, Iran, the UN and Jordan. The group was formed after a conference on the Syrian settlement held in Kazakhstan’s capital on January 23-24. The second international meeting on the settlement in Syria was held in Kazakhstan’s capital on February 15-16. Its participants discussed work to monitor the ceasefire and the prospects for the intra-Syrian consultations in Geneva. Representatives of three countries acting as the guarantors of the truce – Russia, Iran, Turkey – along with Jordan, the United States and the UN, the official Damascus delegation and the armed opposition, worked in Astana.